Fire tube steam boiler with one furnace. 8 bar. 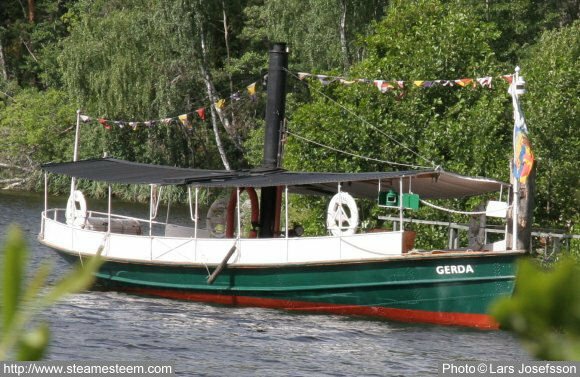 Steamboat Gerda waiting for next voyage. 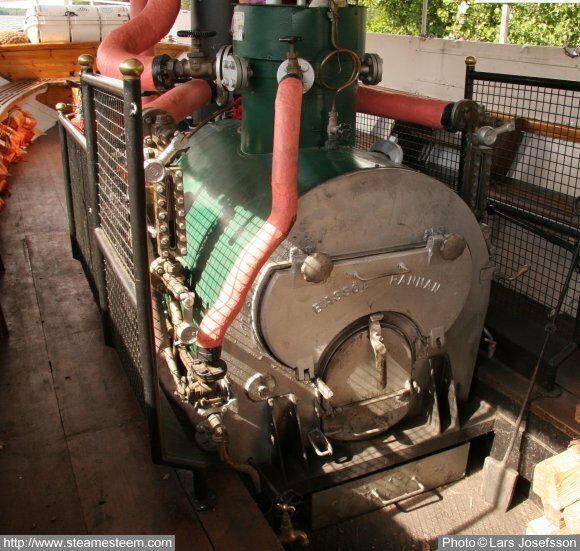 The steamboat Gerda's steam boiler. 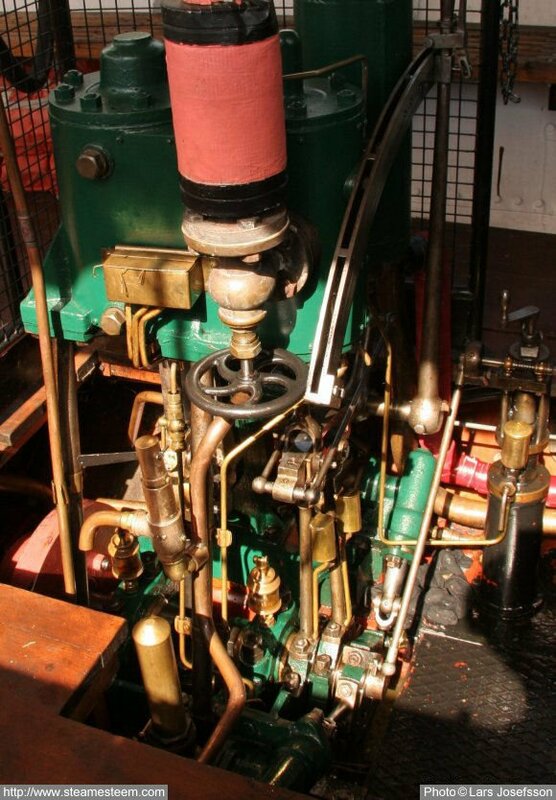 The steamboats single cylinder steam engine aboard Steamboat Gerda.